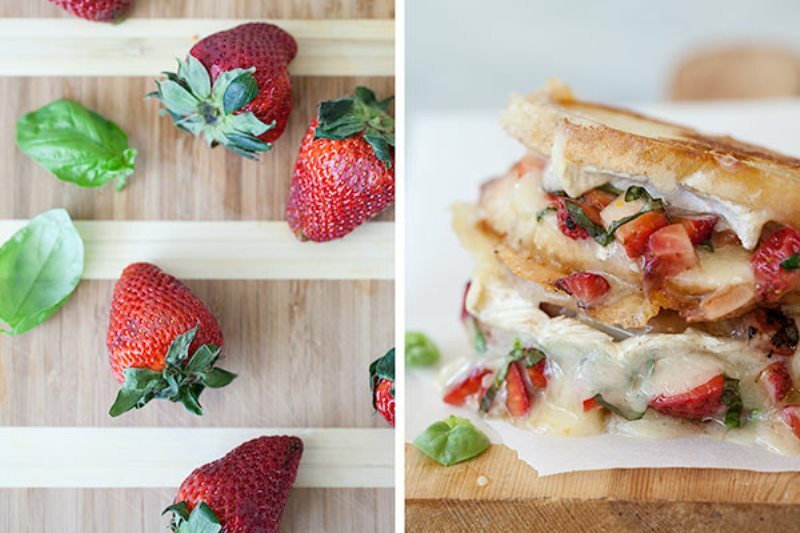 Strawberry bruschetta grilled cheese – Snug Hug & Co.
You’ve seen fruit bruschettas before and you’re seen strawberry grilled cheese sandwiches. So what’s different about this one? Here’s the difference: A little olive oil, a little aged balsamic, plenty of fresh basil melted into soft, creamy brie—with just a touch of a bite—on thinly sliced baguette and toasted just right. Spread butter on one side of each slice of bread, then flip the bread buttered side down and repeat with the other 6 slices. Add the chopped strawberries to a small bowl, sprinkle with the basil leaves and dress with the extra virgin olive and balsamic vinegar. Mix gently then top with lemon zest and season with kosher salt and freshly ground black pepper. Slice the brie and spread on unbuttered sides of the bread. 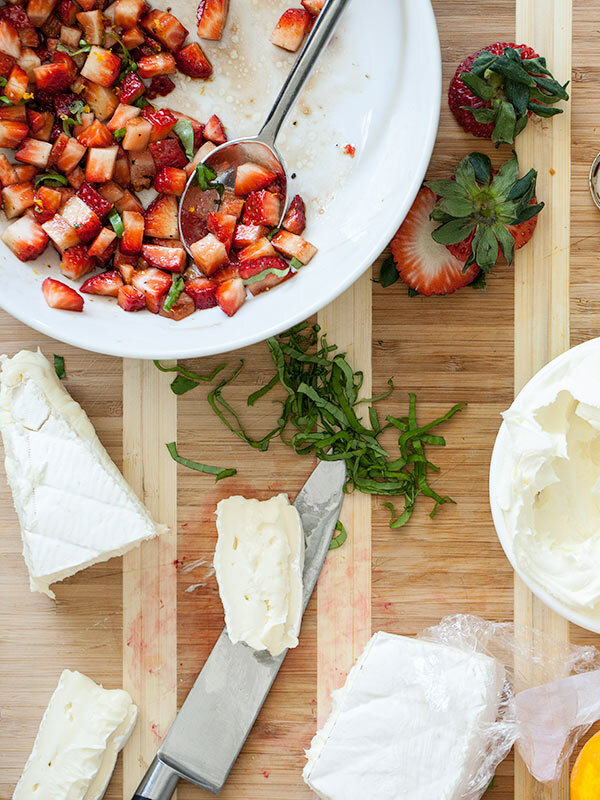 Spoon a generous amount of the strawberry mixture on 4 pieces of the brie topped bread. Place the strawberry stacked bread, buttered side down, in a non-stick fry pan over medium-high heat and top with the other slice of buttered bread. Cover with lid and let cook for 3-4 minutes or until golden. Reduce heat to medium and flip sandwich to the other side and cook for 2-3 minutes or until bread is toasty golden and the cheese has melted. The second side will cook faster than the first so watch carefully. Repeat process with the other sandwich ingredients to make the rest of the grilled cheese sandwiches. Fresh ingredients. Strawberries, basel and brie cheese. Enjoy hot with a perfumed tea or a glass of white wine. Either go amazingly. This entry was posted in Inspiration and tagged bruschetta, cheese, grilled, strawberries.